- Long Fiber Polyester Wiper: Cleanroom Wipers. Super Wipers ... Cleanroom Antistatic Safety Boots : ... Nonwoven Fabric Adhesive Rollers. Paradise Packaging, Mumbai, India - Leading manufacturer, exporter, supplier of HDPE Woven Fabric, HDPE Packaging Bags, Non woven bags, HDPE rolls, VCI Paper. Laminated non woven fabric is coated with PE film Weight range 40gsm-150gsm. 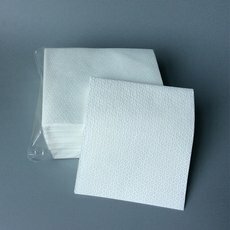 width 1.6m this non woven fabric widely used in medical and bags.